Please note: the code we'll borrow from the Login and Register pages below is included only for example. We strongly recommend you use the latest code from your own core's login and register single pages, no matter what version of concrete5 you're using. The same concepts & approach should still apply. You'll also likely want to spend some time stripping out any core styles from the HTML you recycle, and tweak it to suit your site's theme. 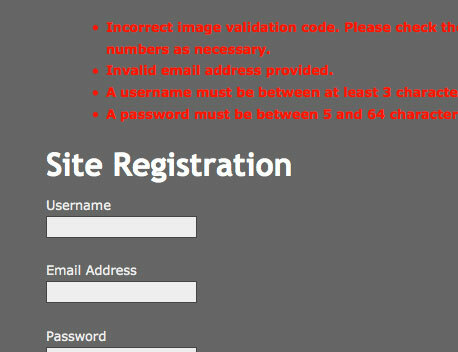 By default, the Login and Register pages are separate entities in the concrete5 core. If your site’s requirements specify that users should be able to either login or register from the same page, one easy option would be to create a new single page that submits its form information to the already existing login and register pages. This how-to is a companion to Theming System Pages, where I explain how to apply your custom theme to single pages (like login and registration). Both Login and Register are single pages. While it’s possible to override either or both, this approach presents a few challenges involving specific functionality that’s tied to these pages. Making a new single page with forms that submit to the existing pages lets you customize the front end of your login process while leaving the complicated part of the login / registration process untouched. We’ll replicate the form fields we need on our new page and submit them to the existing login and registration pages. First, let’s create our new single page. Since it’s a custom page, we’ll place in in the single_pages override directory: (your_site_root)/single_pages/. Let’s call our new page sign_in.php. Let’s think about how we’d like this combined login / register page to look. For the sake of simplicity, let’s use a side-by-side layout where our two forms live right next to each other, divided by a separator. Now we’ll take a look at the form elements on the Register page and re-create them in our new page. Open the core login.php page in /concrete/single_pages and let’s take a look what’s inside. After we make a single page, we need to add it to our site from Dashboard > Pages and Themes > Single Pages. The new page will be available at index.php/sign_in. If a form field needs to be corrected, users will land on the single page they’re submitting their form to—where they can correct their data and proceed. 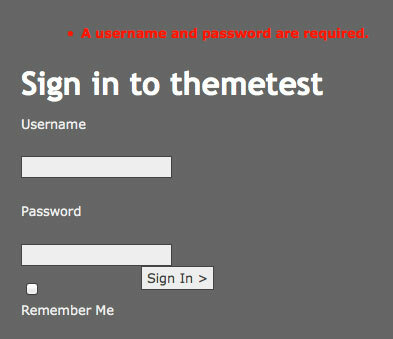 If you’ve already skinned your login and registration pages to match your site’s theme, correcting a form and re-submitting it should be a fairly seamless process for the end user. 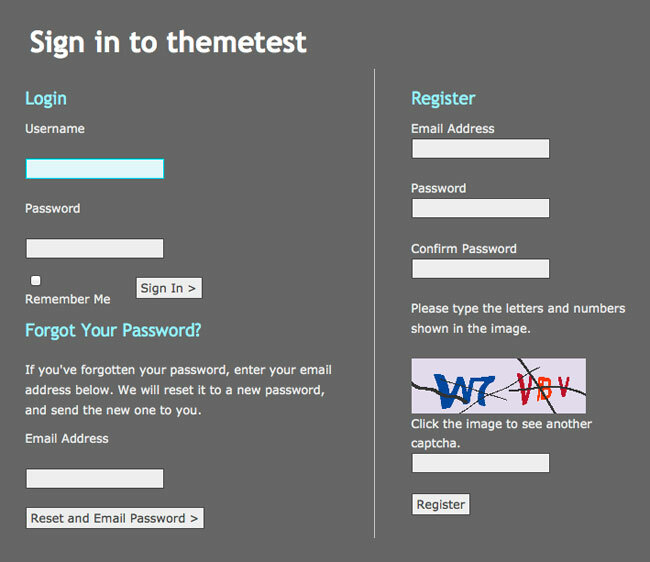 Now we can direct users to our new unified sign-in page as needed. We've left the core Login and Register pages intact, and themed / skinned them to match our theme to present a unified experience for our users.